"I came out of the Army in 1947 and bought a Jag SS90," Mike Anthony recalls. "When I bought it I thought it was an SS100 — I didn't even know that there was an SS90. I modified its cylinder head and beat a lot of SSI00s, but I couldn't compete with the fastest cars. "I ran that car through to the end of 1953. But towards the end of that season I was running at Goodwood and broke down at St Mary's. Sitting watching the cars I saw a little silver one go past quicker than I had ever been — and the chap behind its wheel wasn't working all that hard. It was Colin Chapman in his Lotus. I went to see him and was one of the first to order a MkVI. I built much of the car up in the roof at Lotus's premises at Hornsey before bringing it home. I did all sorts of funny things when I built it because I didn't know any better. Inadvertently, by putting Morris stub-axles onto a Ford axle, I increased the track, which made it handle better. "I couldn't afford an MG XPAG engine, so I used the engine from an ex-RAF Morris Ten. We overbored it to put liners in and there was no metal left; the machine shop said it wouldn't last long. It didn't. It blew in its first race, at Oulton Park. After that we welded the liners in, which worked very well. "The new streamlined MkVIII had been crashed on the way to that meeting, so Colin practiced in my car. Instead of being just a Lotus customer, he and I had become great friends and we got on well — until the following year." Anthony, Chapman and Peter Gammon (another MkVI racer) ran as Team Lotus at Oulton, the first time the name was used; Gammon won his heat and his class in the final. They moved on to Silverstone for the International Trophy meeting where Chapman scored another class win; Gammon finished third, Anthony fifth, but they were pipped to the team prize by Ecurie Ecosse's C-type Jag. Team Lotus ran again at the British Grand Prix meeting at Silverstone in July; Chapman won, Gammon was second, Anthony was ninth — and this time they did win the team prize. Mike also set a new class record at Prescott and won his class at the Brighton Speed Trials — but he felt sure he could do better. "The Mark VI understeered like mad," he recalls, "although we were so naive then that we didn't really understand over- and understeer. The front-end adhesion was so poor that it was easy to initiate a four-wheel drift, even though we only had 75bhp. 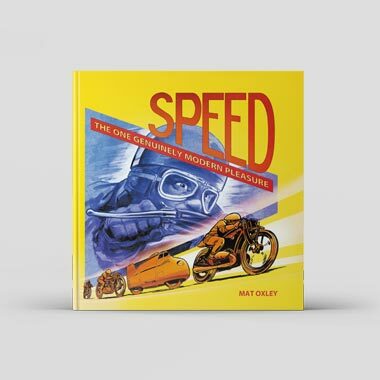 In my youth I suffered from the delusion that I would go round corners faster if I didn't use the brakes; I used to slow the car on tyre-scrub and steering. "For 1955 I decided to move on to a Bristol-powered car. I discussed this with Chapman and he agreed to build me a car based on the MkVIII, with modifications to make space for the Bristol engine. That winter, with the car under construction, Colin rang and asked, 'Would you like disc brakes?' Up to then no Lotus had been fitted with them. I thought it a fabulous idea, but when I asked, 'How much? ', he replied, 'An extra £1000.' That was more than I was paying for the rest of the car, minus engine and gearbox. I told him that I didn't have the money. But he said, 'Well, you needn't pay me until it's convenient.' I thought that was fair, so the car came with disc brakes." Anthony's MkX, as it became known, was the first of six to be built. He enjoyed a good season in it, but its disc brakes caused him problems on — and off— the track. "I was racing at Charterhall, and during practice I lost the brakes," he remembers. "The straight there was very bumpy and the discs were flexing; I had to pump them furiously. I went to talk to Wilkie' Wilkinson, who looked after the Ecurie Ecosse D-types, and he asked me when I was having to pump them. 'Near the end of the straight,' I explained. 'That's nothing,' he replied, 'at some tracks we have to pump them before we get on to the straight.' He advised me to talk to the Dunlop representative, who asked, 'How are you getting on with the experimental brakes we gave Chapman for your car?' He told me that Dunlop had an agreement with Chapman to sponsor my car with them; if they were successful they would fit them to other MkXs. I wrote a letter of complaint to Chapman but had no reply, and later Lotus sued me (for the £1000). I put in my defence that it was all a con, that I would have been quite happy to pay for the conversion fittings but not the whole sum. It went to the High Court; Lotus was not represented, the action was adjourned and I never heard anymore. But I didn't speak to Chapman for several years after that. 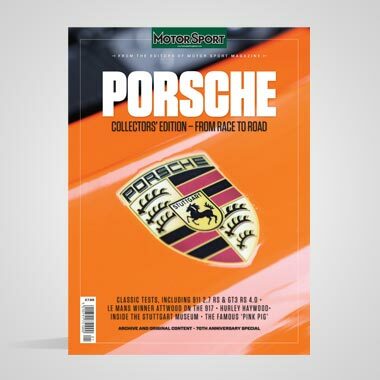 "I also had a very nasty incident with that car in the British Empire Trophy at Oulton when a steering joint broke in practice; I overturned and was carted off to hospital where a surgeon sewed up my face. Colin repaired the car free of charge, but a few weeks later it broke again. He modified it after that. "Apart from Archie Scott Brown, I tended to beat the Lister drivers, and my car was the fastest Lotus. But for the Goodwood Nine Hours in August I co-drove Bob Chase's new rear-engined Cooper-Bristol with Mike Keen. It was very quick down Lavant Straight and we were passing all sorts, including the D-types, but I thought it was a pig to handle. You couldn't set it up for a corner and let it take its course; you couldn't impose your will on it. Jack Brabham was the expert; he used to slide rear-engined Coopers all the time. I was frightened of it — but was still quite quick; in practice, we were up with the unlimited-capacity cars. 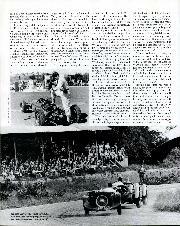 "Mike started and established a good lead in the 2-litre class. But on the last lap of his stint he evidently tried to go through Fordwater flat out, lost it and was killed. He would have been okay except that they had cut the corn and left the stooks in the field; he hit one, the car turned over and caught fire. "Then I had this monster shunt in September. Noel Cunningham-Reid (Lister-Bristol) and I had had a tremendous scrap and crossed the line first and second, Noel leading me by the narrowest of margins. We completed our lap of honour and were pulling into the pits when two Austin-Healeys ran into the back of us at about 80mph. But for the MkX's bloody great tailfins, one of them would have been right over the top. Instead of an RAC inquiry I was allowed to sue the chap who hit me for gross negligence. There was a precedent: Chapman had been sued by Ecurie Ecosse after he'd run into one of their cars in the paddock and had to pay damages. I, too, was awarded damages. "I chose to stay with Bristol power for 1956 and ordered a Lotus Eleven with a view to fitting that engine. Chapman didn't want to know and would only sell me a standard body/chassis unit. 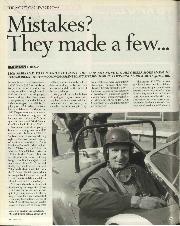 I had endless problems fitting the engine; it had to be canted over, and this caused problems with oil and water circulation and the gearbox, an MG unit that Graham Hill had reconditioned. Frankly, my ambition was ahead of my ability. I over-reached myself building the Lotus and my transporter, which was inspired by the famous Mercedes single-car job; I used a Standard Vanguard van with another half-chassis welded on to it to extend the wheelbase by 5ft. I built an electric winch and installed a TR2 camshaft and an overdrive gearbox so it had five gears. It was capable of 100mph. I drove it for thousands of miles. 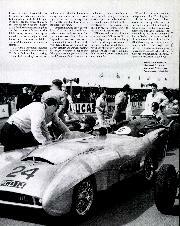 "During 1956 I raced in partnership with Mark Lund. We went to Monza for the Supercortemaggiore, where a piston failed. The BRDC then negotiated an entry for me in the Bari GP on the Adriatic Coast. I got £500 start money, but the Lotus retired. Then the Vanguard's water pump failed, so I drove all the way home on thermo-syphon. "We kept on running the Lotus without much success until Mark showed real promise at a wet Bank Holiday Monday at Brands Hatch. 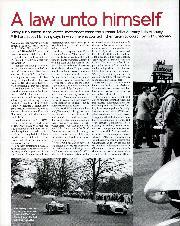 He finished fourth, which led to his trial drive for Aston at Silverstone; he crashed and was killed. 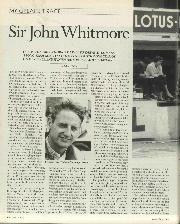 "During 1956 I went into business buying and selling competition cars, specialising in Lotus Elevens. But the following year I raced an AC Ace belonging to Malcolm Knights. We replaced its engine with my Bristol unit and we did very well, running as part of Ken Rudd's team. One of my best performances was in the 88-mile GT race at Spa in May; I won the 2000cc category from Ted Whiteaway in another Ruddspeed Ace. 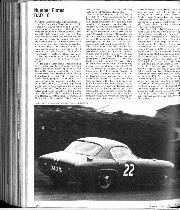 After this I co-drove Herb Jones' Ace-Bristol in the Reims 12 Hours GT race and ended up doing 11 of the 12 hours; Herb didn't like the fog, didn't like the car, didn't like anything. We were second in class. 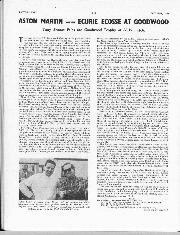 "I also co-drove a works Ace-Bristol with Whiteaway in the TT. This was the experimental car with a multi-tubular spaceframe designed by John Tojeiro and a body styled by artist Cavendish Morton. It was fitted with coil-spring front suspension and a swing-axle rear instead of the usual transverse leaf springs and wishbones. It handled appallingly. It lost water. It overheated. The chassis broke. We finished well down. "For 1959 I ordered a Lister. I would probably have done quite well if I had used a Jaguar engine; instead I decided to install a Chevrolet V8. Bob Hicks picked up an engine from the American Services car dump. I bored it out to 5.5 litres and fitted Solex twin-choke carbs as used on the Lancia-Ferrari; we had eight of them on the car — we didn't know what we were doing. I did the whole season with it, but it was hopelessly underdeveloped. It was an absurd car to drive. I was completely mad. If I'd stuck to a standard Chevy with a four-barrel Holley, I'd probably have done rather well. 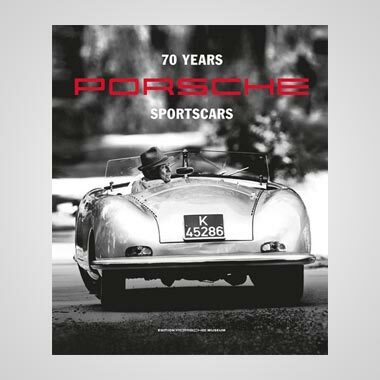 "Then I got interested in single-seaters and drove an Elva in a couple of races in 1960. 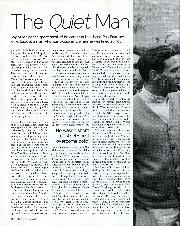 And in '62 I saw Mike Parkes race one of Graham Warner's rear-engined Formula Junior Geminis and was impressed. So I bought one in component form and built it up. I never did well with it, though, and as my family responsibilities were increasing, I decided to retire from racing." Having been lumbered with a limp by a rugby injury, this Outside Centre had been happy to carry his shirt number,13, on his race cars. If it was unlucky for others, it might be lucky for him, he reasoned. It worked in that today he is a very fit and active 76-year-old, but it very clearly didn't keep him out of mischief, hospital beds or the courts. But perhaps that was to be expected — for be it on pitch or racetrack, Michael Anthony was always happy to muck in and get stuck in.